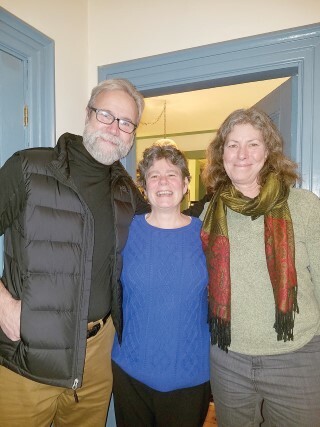 Anne Gass of Gray officially announced her run for the Maine House District 67 seat at her campaign launch party held at the Christopher Aaron Counseling Center, 26 Main Street in Gray on Wednesday, January 17. District 67 includes most of Gray, parts of Raymond and Casco as well as Frye Island. Gass states that she is running as an Independent so she can work to find practical solutions to real life problems without the distraction of the political parties. Gass noted that strong schools, broadband, and access to affordable health care coverage are three things small businesses need to thrive. For more information about Gass or to contact her, she can be reached by phone at 207-657-4935 (office) or 207-650-4369 (cell.) One can also write Gass by email at agassmaine@gmail.com or by mail at 232 N. Raymond Road, Gray, ME 04039. Look for our article in early fall that will highlight all individuals running for office who represent the Windham and Raymond communities.